Find below the list of top schools in Chandni Chawk - Kolkata with phone number, address, 360° School tours, 2018-19 Admission forms & Fees, photos, facilities & more. 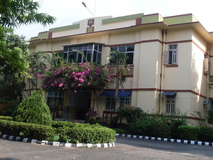 Loreto Bowbazar was established in 1844 on the 8th of December. It was known as St. Francis Xavier Convent. It was originally a small private school owned by Mr. & Mrs. Cooper. There were boarders from the middle income group, who paid their fees. A Free school was also running parallel to the paid school. There were both boys and girls. 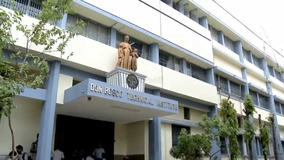 St Joseph's College is located in Chandni Chawk, Kolkata. It was established in 1848. This school follows the ICSE board. The school has English medium. Elias Meyer Free School & Talmud Torah is located in Chandni Chawk, Kolkata. follows the ICSE board. The school has English medium. 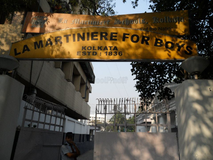 Loreto Day School Sealdah was inaugurated on August 1, 1857, under the principalship of Sister Mary Catherine Cantopher. 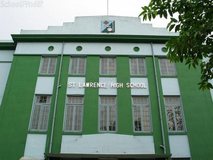 In 1902, the school relocated to its present site donated by the Archbishop of Calcutta. Mother M. Martina Wilson and Sr. Evangelista Considine being sent to Loreto Day School Sealdah, the sisters travelling to and from Loreto House daily by gharry, a horse-drawn cab or carriage. You and your child deserve to be looking only at the top schools in Chandni Chawk - Kolkata. 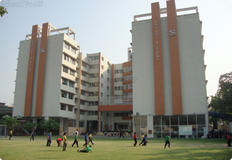 We at Sqoolz, have created an all-encompassing list of best schools in Chandni Chawk - Kolkata so that you can pick the one that is most suitable for your needs. Is the location viable? Is the school big enough? What additional facilities do they provide? Find answers to all the important questions with us. You can even take our virtual tour and see for yourself whether or not the school fits your child's needs.